Are you ready to relax at sea with a tropical cocktail in hand? Snorkel off a remote beach? Enjoy a breathtaking sunset from the water? 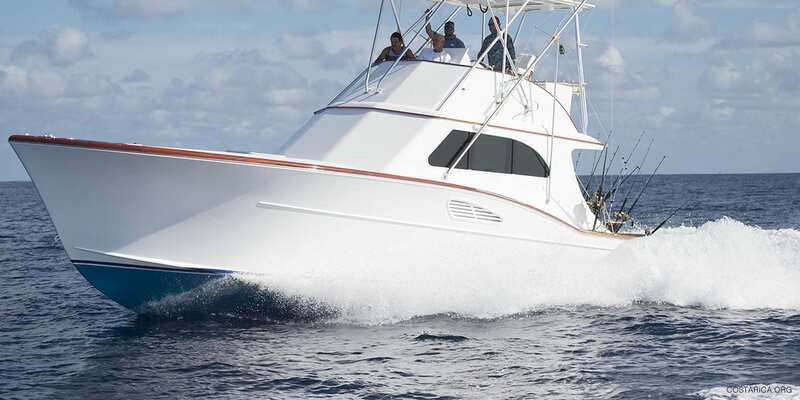 Then a catamaran cruise is the perfect activity for your next Costa Rica vacation. Costa Rica has some of the best and varied catamaran and boat tours out there. Most pick you up from a popular beach or national park, include drinks and lunch, snorkel gear, kayaks and paddle board, and give you the chance to spend the entire day out at sea. You’ll float past lush islands, rocky coasts and hidden beaches. Nature lovers will enjoy snorkeling and looking for wildlife in the trees and relaxation enthusiasts can spend the day sunbathing on the deck. Let My Costa Rica help you plan your Costa Rica vacation and find the best catamaran tours for you and your family! Costa Rica catamaran tours off Tamarindo Beach (Playa Tamarindo) in Guanacaste are some of the most popular in Costa Rica. You’ll enjoy a day touring the ocean on a beautiful boat while you look for marine life, quench your thirst with tropical drinks and maybe even snorkel close to a hidden beach! Watch out of sea turtles, dolphins, tropical fish and even humpback whales! After snorkeling, kayaking, swimming or paddle boarding you’ll enjoy a delicious lunch under the sun prepared by the crew. Make sure to bring you camera because your sunset cruise back to the Tamarindo will not disappoint. Watching the sunset from the deck on top of the Pacific waves is something you will never forget. If you’re staying in Playas del Coco (Coco Beach), you’re in luck! The catamaran tours from Playas del Coco are equally as beautiful as those from Playa Tamarindo. You’ll sail over crystal blue Pacific waters while the crew offers refreshing drinks and lunch. Just like in Tamarindo, you’ll get to enjoy snorkeling, kayaking or paddle boarding in a hidden bay. Lay back and relax on the boat as your cruise takes you back to shore during the sunset. It’s a sailing trip you’ll never forget. If you’re touring Guanacaste, stop by Playa Flamingo for a sailing tour or sunset cruise. The sailing tours and sunset cruises are run by expert guides who are excellent at spotting dolphins, whales, manta rays, turtles and more. They provide tropical drinks and soft drinks, snacks and gear for snorkeling, kayaking and paddle boarding. A luxury catamaran tour from Playa Flamingo is perfect for group events like honeymoons, family reunions or birthday parties. Set sail from the Marino Pez Vela bay in Quepos on a luxury cruise along the Pacific coastline. Catamaran tours from Manuel Antonio will take you on a sunset tour in search of dolphins and whales while you enjoy natural fruit drinks (with or without alcohol), a delicious meal and a variety of snacks. You’ll take a break in front of a gorgeous beach for a snorkeling adventure and a chance to paddle board and enjoy slides, jacuzzis, tanning chairs and even a plasma TV. You’ll cruise along the beautiful Pacific coast aboard a luxury boat designed for an amazing day under the Costa Rican sun.